As is true for so many aspects of high tech industry contracting, highly specific welding and sheet metal fabrication capabilities, equipment, and experience are desirable when you outsource work of this kind. It’s one thing to meet stringent industry standards; another to achieve the quality you expect. How do you know if a fabricator, welder, or contract manufacturer can really deliver when it comes to sheet metal and welding? 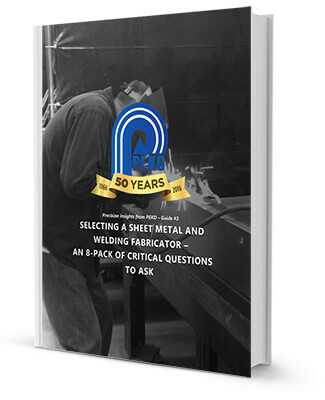 Download this guide for answers to 8 critical questions to ask sheet metal and welding fabricators.